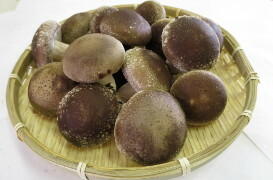 Shiitake mushrooms are a great source of iron and contain eritadime, a substance that helps reduce bad cholesterol. Other health benefits range from boosting the immune system to facilitating weight loss. So Many Ways to Enjoy! 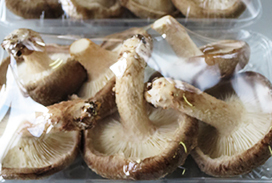 You can boil, grill, fry or cook them on a barbecue. 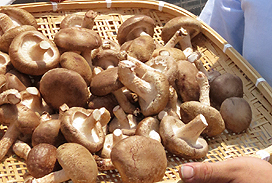 Shiitake mushrooms can be prepared in variety of ways, adding a delicous flavour and dimension to any meal. 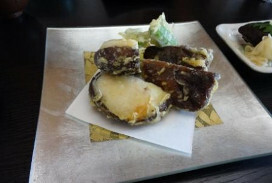 Why not try deep-frying them Japanese stlye for tempura, as shown in the above picture? 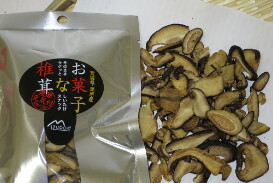 With only 10% of the fat of conventional fried snacks, you can indulge in our shiitake chips without worrying about your waistline! 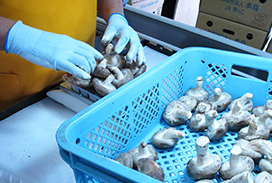 Although all our mushrooms are of the highest quality, we divided them into four categories based on size and shape. 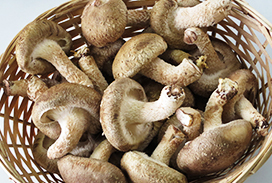 Type A is our superior product: a thick mushroom with a round head. 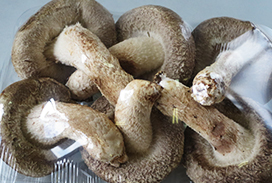 Type B is a very high-quality mushroom which is a little thinner than Type A but has a larger head. 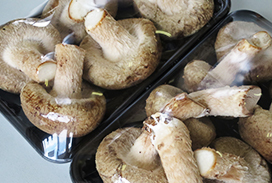 Type C is a high-quality mushroom with a large and flat head. 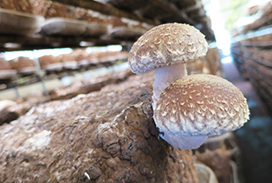 We also have a jumbo size, where the circumference of the shiitake measures 8cm or more. 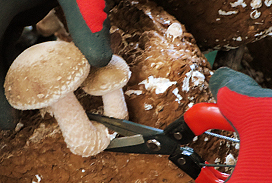 We grow our mushrooms using a bed made from naturaｌ sawdust in a temperature-controlled environment. 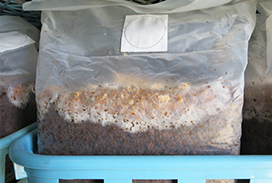 After the SHIITAKE bacteria has grown, the mushrooms are transferred to a green-house where they continue to grow. 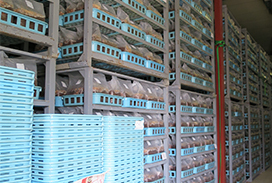 They are then picked by hand and packed for shipment. © Copyright 2013 - MIZUDORI CO.Ltd.